« Why Get a Massage? 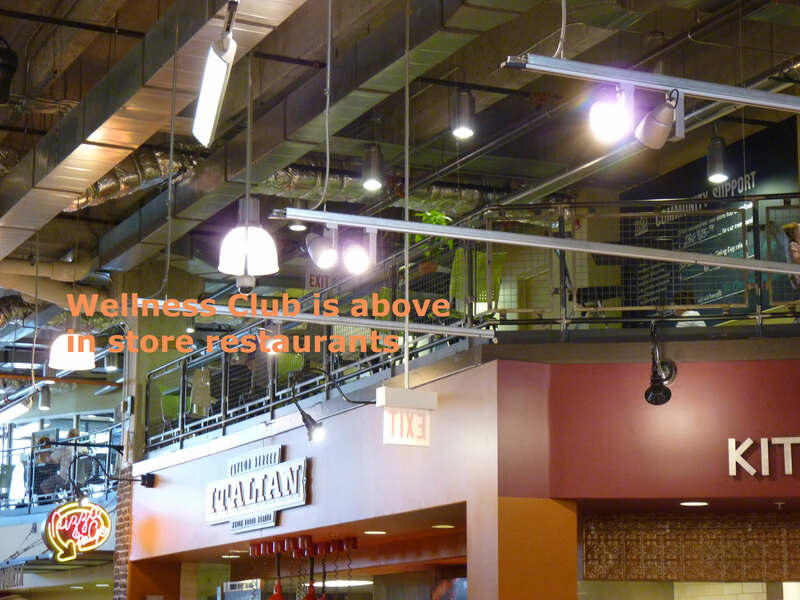 Where’s the Wellness Club in Lincoln Park? 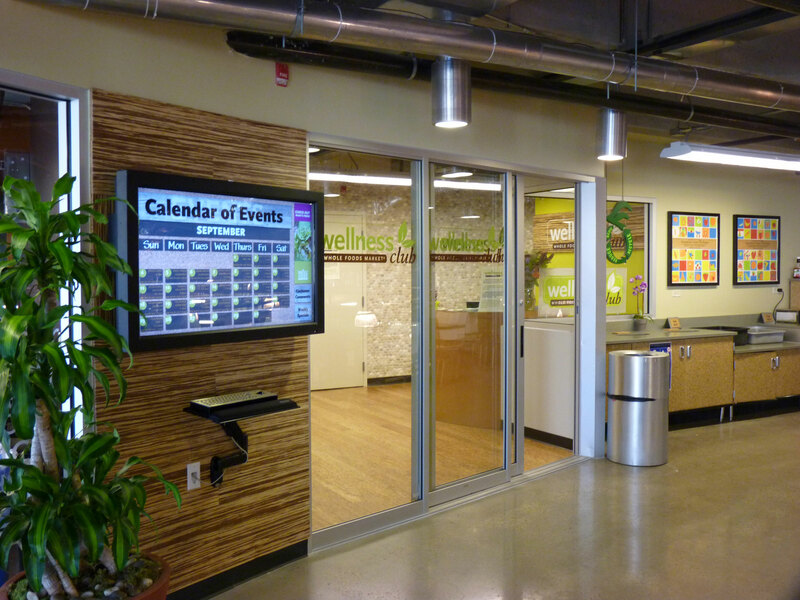 I’ve been shopping and providing massage at the Lincoln Park Whole Foods market for the past few years since they built the new store on Kingsbury. I know the store well, every stairwell, every nook and cranny, every mouth-watering department. But for new clients and visitors to the newly established Wellness Club, finding our table massage location can be a daunting task. Since massage is geared towards relaxation and stress relief more than orienteering, I want to make it easier for people to find us! 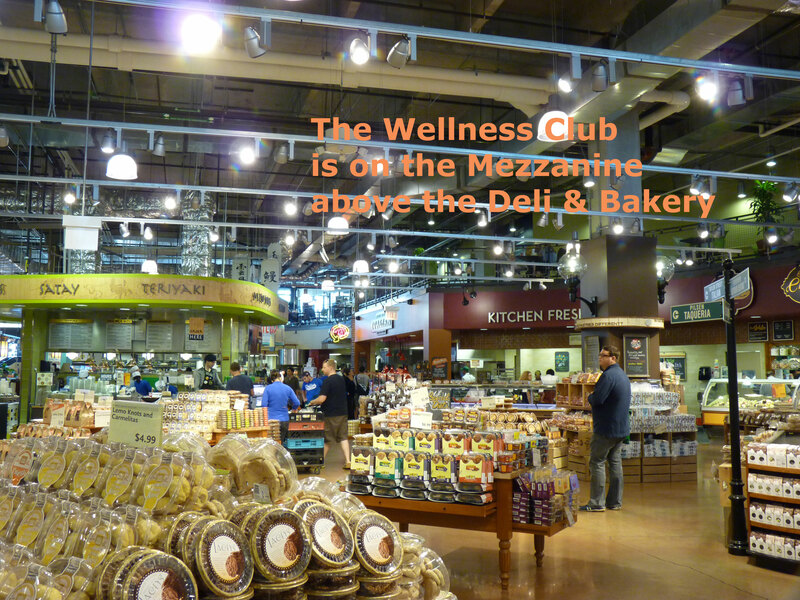 Your Final Destination; The Lincoln Park Wellness Club in Whole Foods Market at 1550 N. Kingsbury! 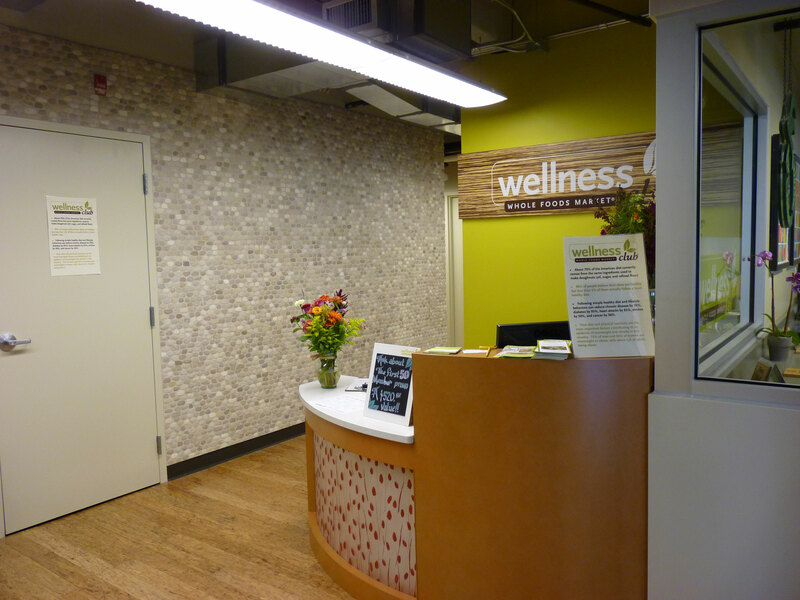 A great table massage is just around the corner, inside the Wellness Club! 1. If you park in the garage on level 2 or 3, simply walk to the rear of the parking lot (facing the River) and take the stairs or elevator to the Mezzanine (M on the Elevator). 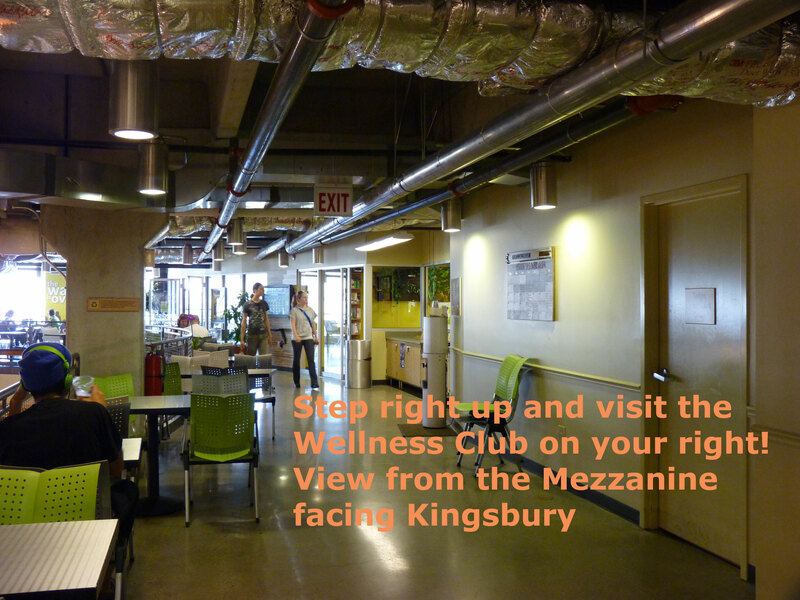 Exit the stairwell and walk along the Mezzanine (aka balcony) towards Kingsbury until you reach the Wellness Club. 2. 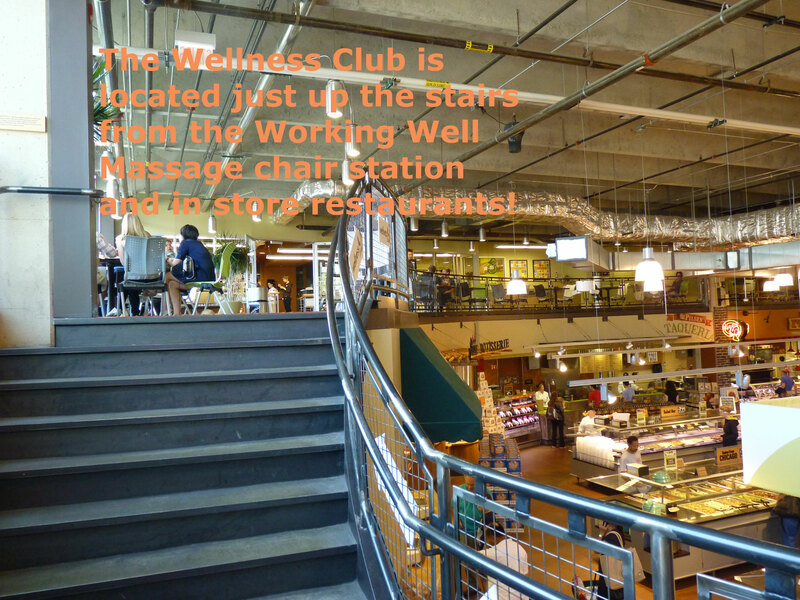 If you park in the garage and take the escalator or elevator to the main floor or if you walk to the store, you need to walk up the stairs in front of Express Checkout and the Working Well Massage Chair Massage Station to reach the Mezzanine. 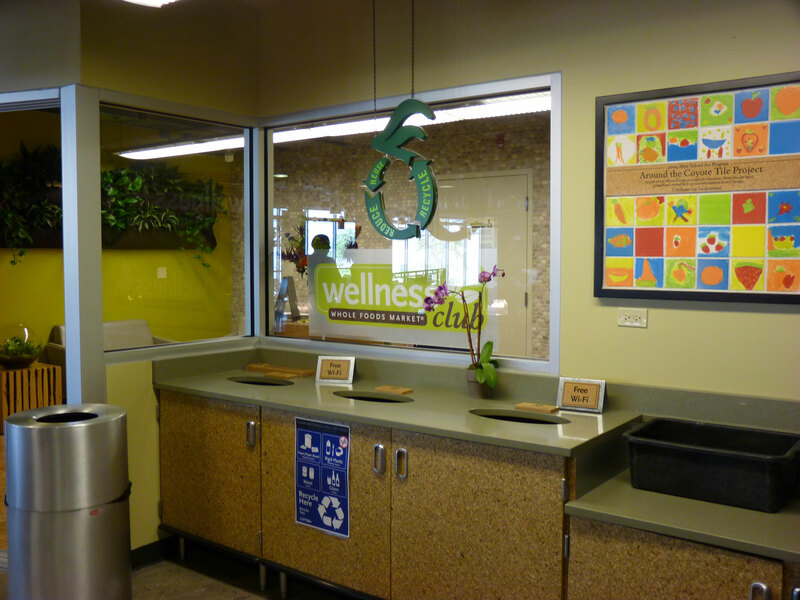 You can see the Wellness Club in the distance in this photo taken from the bar aisle in front of Express Checkout! These stairs lead to the level known as the Mezzanine (aka the balcony). The Mezzanine is only accessible from the stairs shown below or the rear entrance of the store. If you take the elevator or escalator in the front of the store tot he second floor you won’t find us. Don’t fret, though, just return to the main floor and then take the stairs to the Mezzanine in the South end of the store. Your massage will be worth the walk! 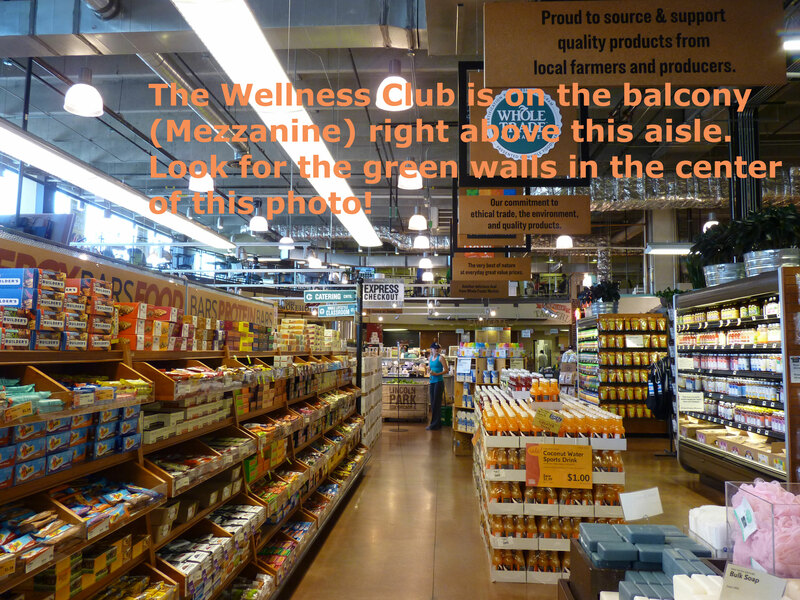 If these directions are unclear, hopefully the photos will help you orient yourself in the store and find us in the Wellness Club! If all else fails, call just directly at 312-202-6444 and we will direct you to us!